Ready to start planning your Nashville wedding? Read on for all the information and tips you’ll need to get started. Nashville, Tennessee is known as one of the most vibrant and fun cities in the United States. So if you’re getting married in Nashville, get excited—it’s bound to be an amazing experience for you and your guests. 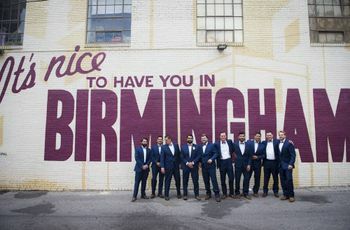 With so many amazing wedding venues and talented vendors, like wedding photographers and florists, to choose from, Nashville is one of the hottest destinations wedding locations right now. Getting married in Nashville? Check out these tips to start planning your nuptials. Nashville is one of the most popular places to get married in the U.S., but it’s not one of the most expensive cities. In fact, the average cost of a wedding is Nashville is $22,800, lower than the national average of $28,000. Fall weddings, particularly in the month of October, are most popular in Nashville, and couples host an average of 120 guests per Nashville wedding. Nashville is a country music mecca, hence the nickname Music City. If you’re getting married in Nashville, you’ll want to be aware of major events that occur in the city when setting a date. During these weekends, you may find it difficult to book hotel room blocks for guests, and traffic may be more of an issue. In particular, the CMA Music Festival and Bonnaroo in June and the CMA Music Awards in November are usually busy weekends. 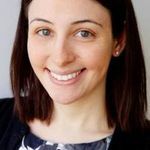 There are also sporting events to contend with, such as the Music City Bowl in December and the Rock ‘n’ Roll Marathon, which is the last Saturday in April. If you have guests traveling to your Nashville wedding from out of town, they’ll likely fly into Nashville International Airport, which is conveniently about 20 minutes from the downtown area. Most major airlines service Nashville International Airport, so your guests shouldn’t have too much of a problem getting a flight. If your guests are staying in downtown Nashville, they probably won’t need to rent a car—much of the city is walkable. There’s a free bus route, known as the Music City Circuit, that can help your out-of-town guests explore the city, and there’s also a fun trolley tour, as well as taxis, bike and car rentals. Similar to most of in the southeastern U.S., Nashville has a relatively warm and mild climate. 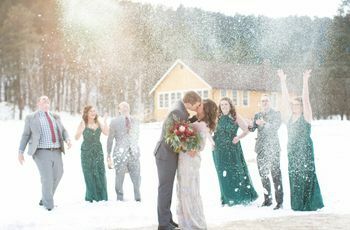 Winters aren’t usually too cold (the average temperature in January, the coldest month, is 47 degrees), but summers tend to be quite hot and humid—not ideal for outdoor Nashville weddings. 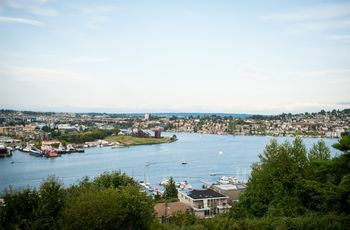 The average high temperature for the city is about 70 degrees. 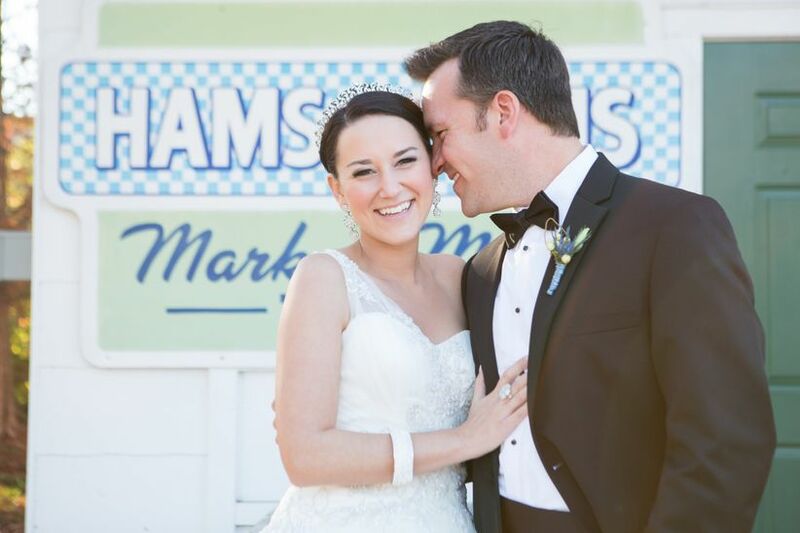 Many couples dream of hosting an outdoor Nashville wedding, particularly in the more temperate spring and fall months. From gardens to vineyards, estates and more, you’ll find lots of options for an outdoor wedding! Rustic weddings are all the rage right now, particularly in the South. The Nashville area is home to several barn venues, ideal for laid-back and casual events. These venues have some stunning scenery, perfect for gorgeous wedding photography. For a wedding with real Southern charm, consider hosting your big day at one of the estates and mansions in the Nashville area. These elegant venues have a sense of history that you and your guests will love. 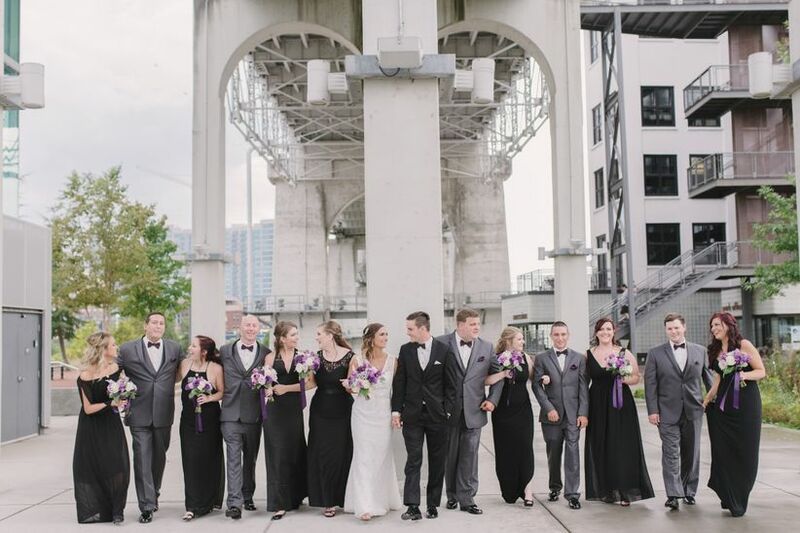 If a city vibe is more your speed for a wedding day, there are lots of Downtown Nashville wedding venues you’ll love, including hotels, modern event spaces, restaurants, historic buildings, and more. In fact, you can even get married at the Country Music Hall of Fame—talk about a true Music City venue! Those who are getting married in Nashville should be sure to research the Tennessee marriage requirements and laws. You’ll have to visit the Davidson County Clerk, and pay a fee to receive your marriage license. Brides and grooms who complete a premarital education course get a discount off of this fee. Once you’ve received your license, you have 30 days to have the marriage ceremony performed by a wedding officiant. Nashville hosts nearly 14 million visitors each year—it’s definitely a major tourist destination with lots of hotel options. We recommend booking hotel room blocks for your guests as soon as possible and, if available, choose accommodations that are near your wedding reception and/or ceremony venue. Located right in downtown Nashville, guests can immerse themselves in the history of country music at this huge museum. Located in Centennial Park, this building is a replica of the Greek Parthenon. It’s a gorgeous historic site (and art museum!) in the city’s most well-known park. If your guests will have any evenings available during your wedding weekend, they might want to see a show at this country music landmark. If not, there are tours of the historic space held during the day. Whether your guests have little ones or are animal lovers themselves, they’ll likely want to pay a visit to the Nashville Zoo. Fun fact: You can actually get married at this expansive zoo! Ready to start planning your Nashville wedding? 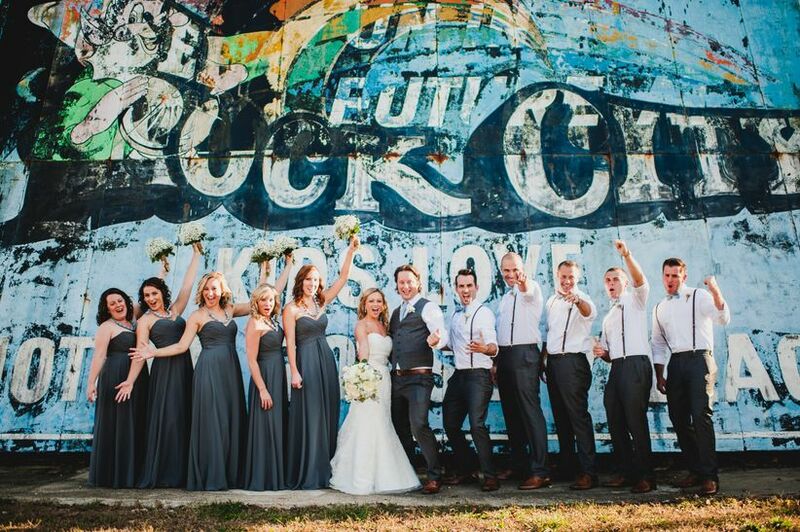 Take a peek at these Music City real weddings and get inspired!